We also are an Insurance Broker company with many years of experience in Germany and established since 2001 in Pattaya, Thailand. Appropriate insurances are the precondition for a secure life, especially here in Thailand, where no public support is provided to foreigners. To select the most suitable offer from the multitude of insurance policies, you need an insurance broker, whom you can trust, with expertise and many years of experience. 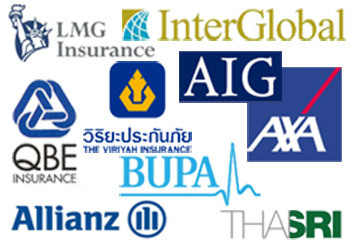 Many people in Thailand trust the team of Global Insurance, the market leader in Pattaya with international and Thai customers across the whole country. We provide you with the most suitable and tailor-made insurance package for an attractive price.